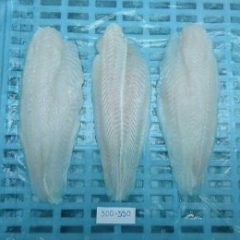 The Directorate of Fisheries has set a target to achieve the export turnover of 4.2 billion USD. Accordingly, the existing farming area will be maintained, production will reach 780 thousand tons, of which tiger shrimp will produce 300 thousand tons and 480,000 tons of shrimp. At the conference to deploy the shrimp industry plan in 2019, it was held in Soc Trang on the afternoon of March 13, chaired by Minister Nguyen Xuan Cuong, the General Department of Fisheries set a target to strive to achieve export turnover of 4, 2 billion USD. Accordingly, the existing farming area will be maintained, production will reach 780 thousand tons, of which tiger shrimp will produce 300 thousand tons and 480,000 tons of shrimp. According to the General Department of Fisheries, there are many opportunities in 2019 but great challenges. In particular, the hot weather, salinity limit can penetrate deeply affecting farming areas. 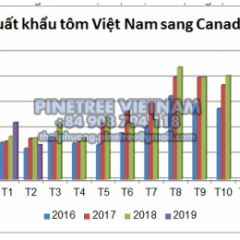 In order to achieve the goal of USD 4.2 billion in 2019, Mr. Truong Dinh Hoe, General Secretary of Vietnam Association of Seafood Exporters and Processors proposed, enterprises should focus on improving the competitiveness of Vietnam shrimp industry. Relocating in a positive direction for the Chinese market is a big market, a lot of potential. Export trends from Vietnam to China by sea are increasing significantly, reducing risks and limiting intermediaries. Mr. Nhu Van Can, Director of the Department of Aquaculture also acknowledged the current problems that we have not been proactive in the supply of shrimp seed. Each year our country still has to import 200 – 250 thousand white leg shrimp parents. Meanwhile, a part of tiger shrimp parents still have to collect from nature. 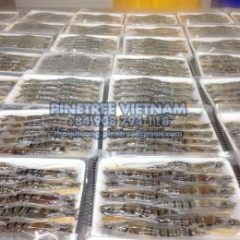 Besides, the situation of impurity injection into raw shrimp still occurs. 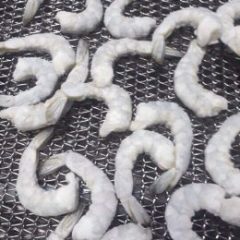 It is known that the end of the shrimp crop in 2018 has been evaluated as the winning season. 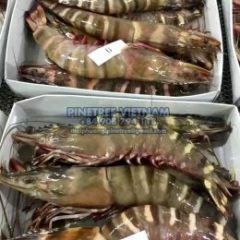 However, due to the consumption market, shrimp exports in the first months of 2018 faced some difficulties. 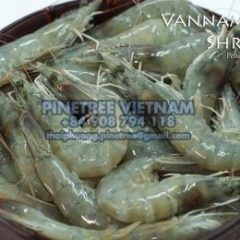 By the end of the year, shrimp exports recovered, bringing the Vietnamese shrimp industry to continue its development momentum and contributing to the whole fisheries industry. The conference will continue to discuss solutions to achieve the goals for 2019.